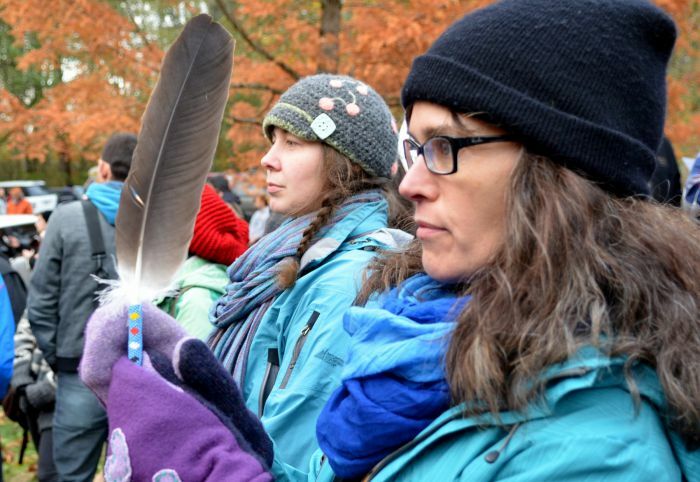 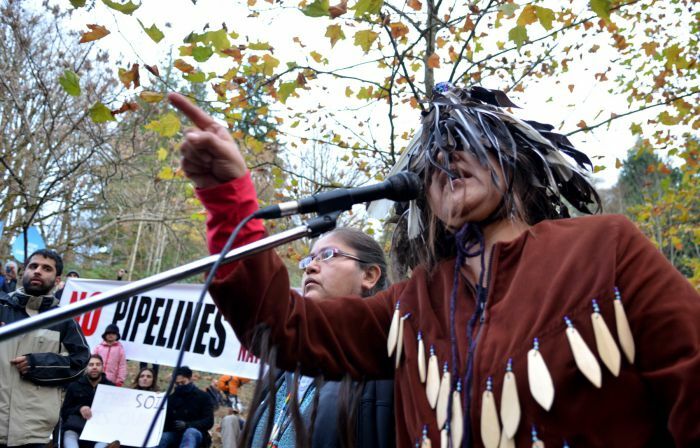 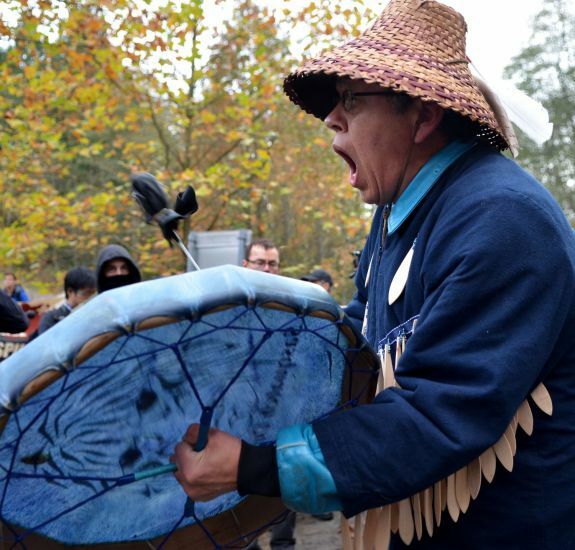 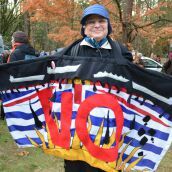 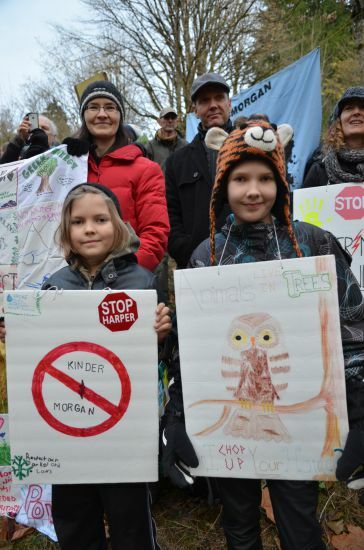 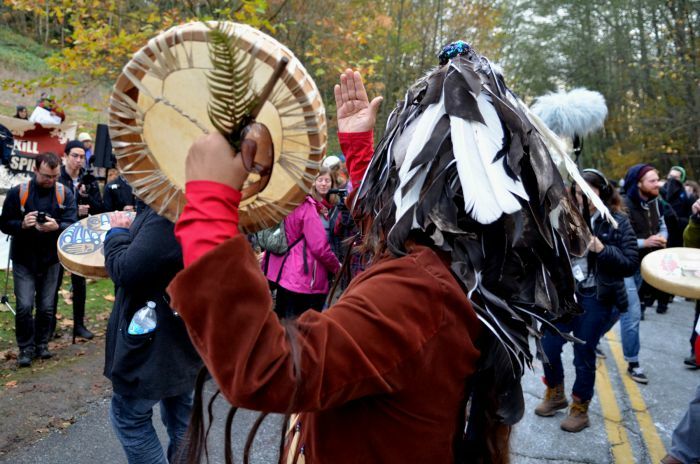 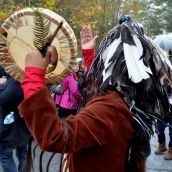 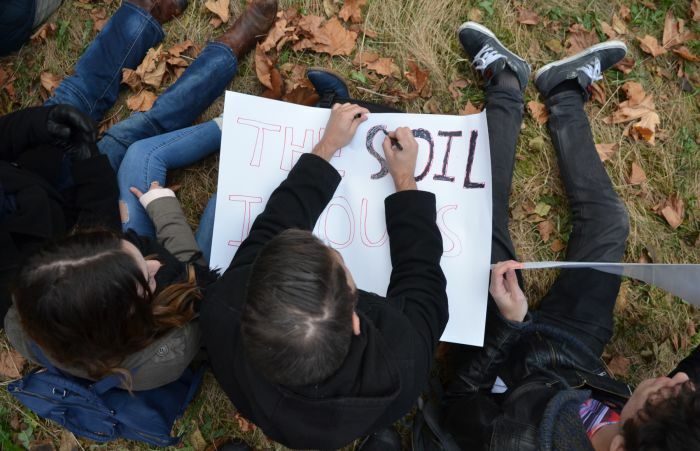 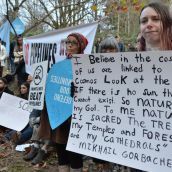 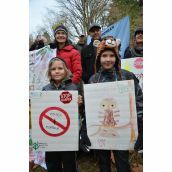 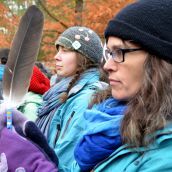 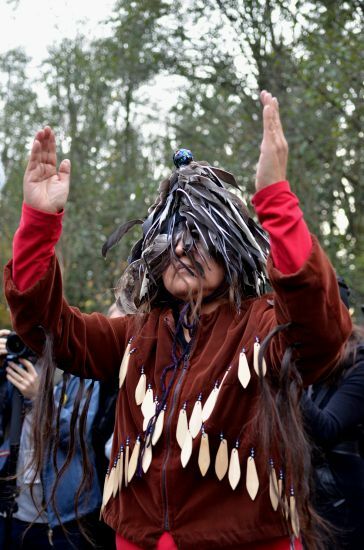 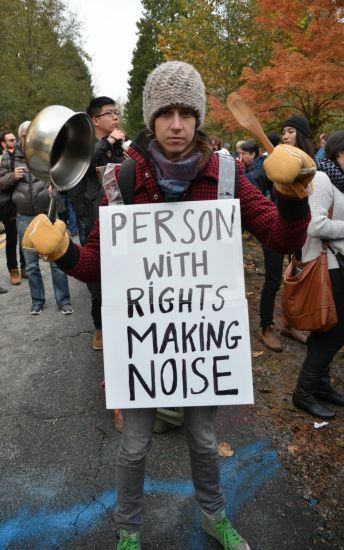 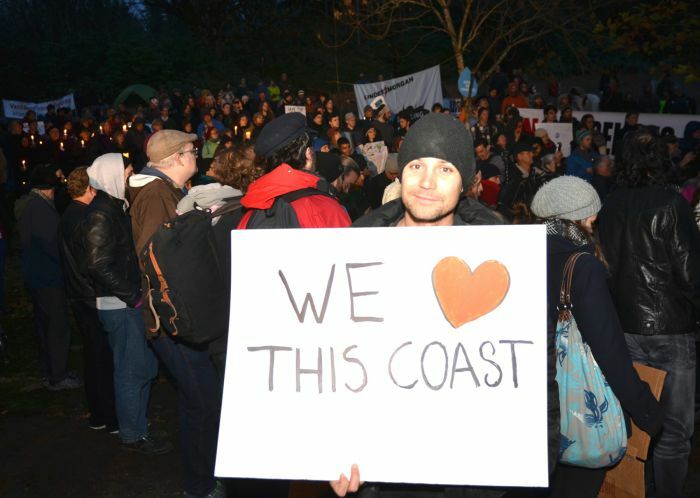 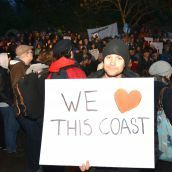 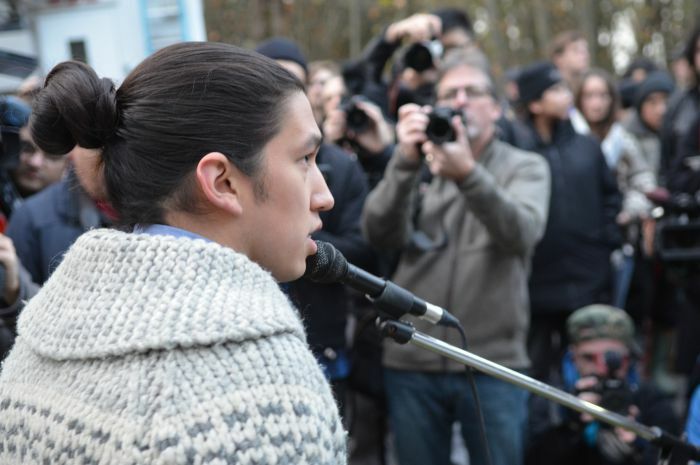 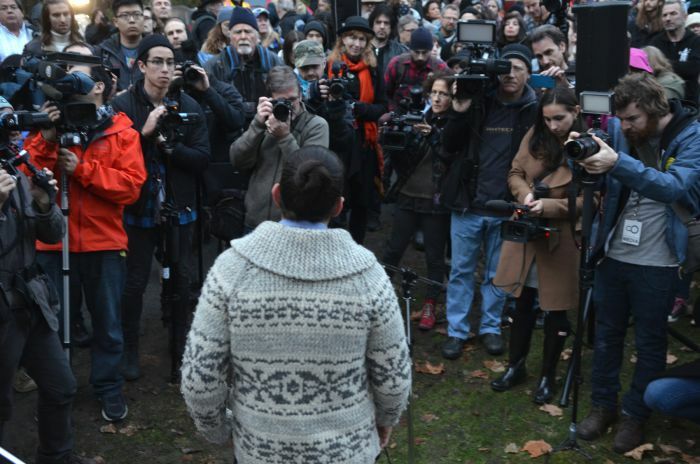 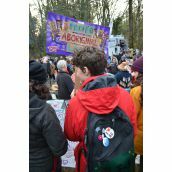 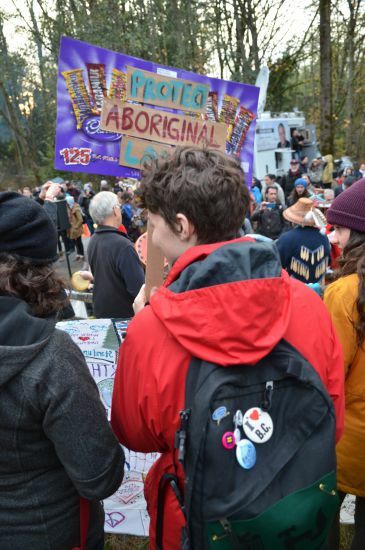 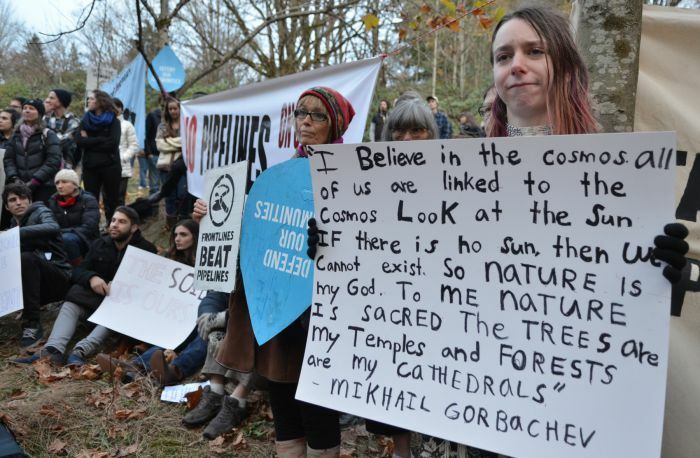 COAST SALISH TERRITORY - More than 500 people were on hand to block court approved survey work by Kinder Morgan on Burnaby Mountain Monday afternoon. 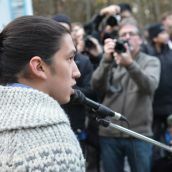 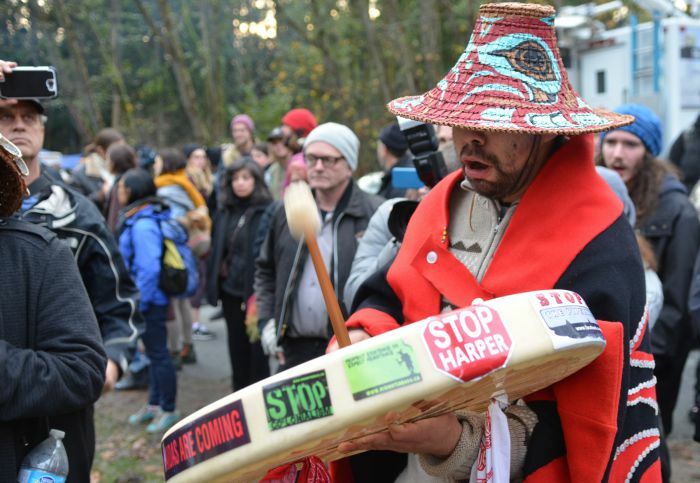 The 4pm deadline came and went without incident and police presence was limited to a few RCMP. 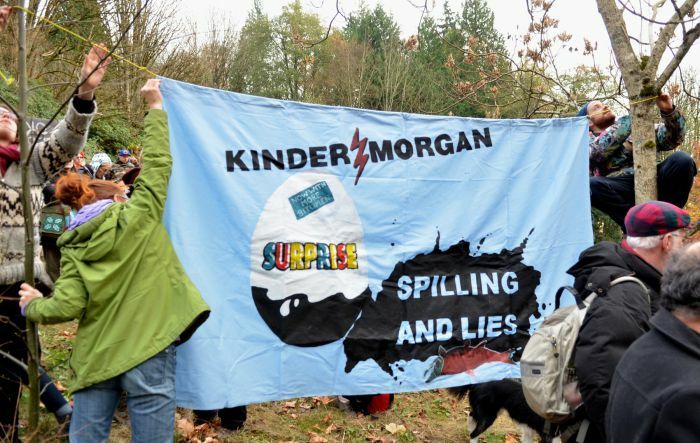 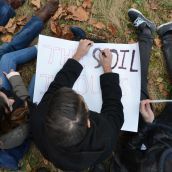 Earlier in the afternoon Kinder Morgan representatives read out a court order allowing them to desecrate the mountain park as they survey for a planned new oil pipeline through the mountain. 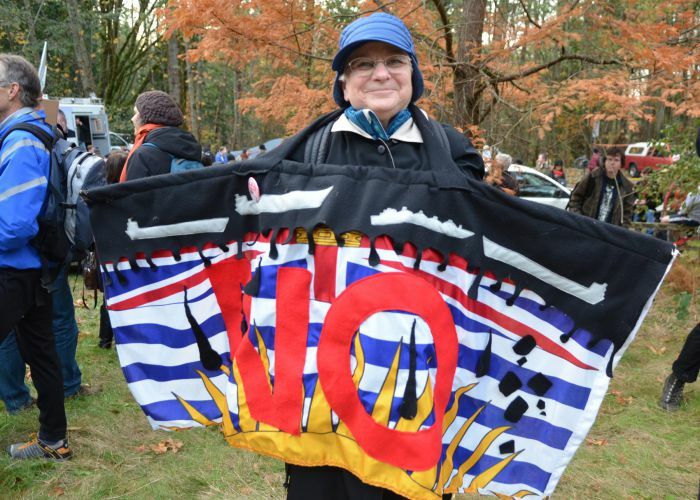 The oil would be shipped out through Burrard Inlet. 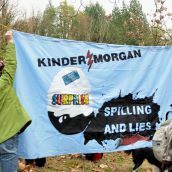 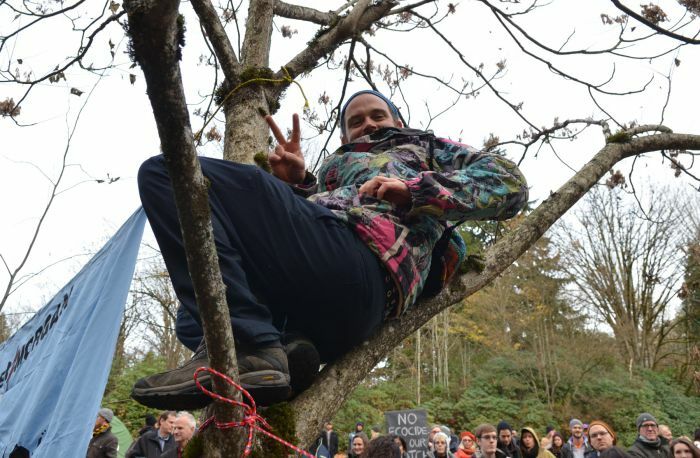 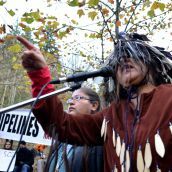 The protest camp remains and anti-pipeline activists expect Kinder Morgan workers and police to reappear tomorrow morning. 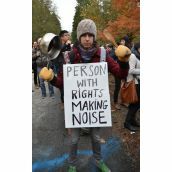 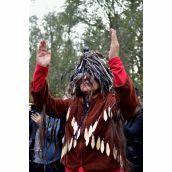 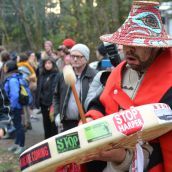 Kinder Morgan is suing some of the protesters in a SLAPP suit for more than $5 million for, among other things, making faces at their workers. 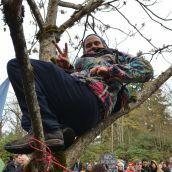 The Burnaby Mountain Caretakers are asking people to continue material and physical support on the mountain (at 300 Centennial Way) starting tonight or tomorrow morning.